New Delhi: The Cabinet Committee on Security met Friday morning to discuss the security scenario in Jammu and Kashmir in the wake of the Pulwama attack attack. Prime Minister Narendra Modi is chairing the meeting. Home Minister Rajnath Singh, Union Minister Arun Jaitley, External Affairs Minister Sushma Swaraj were also present at the meeting. Top security officials are learnt to have made a presentation on the incident and the overall security situation in the state. 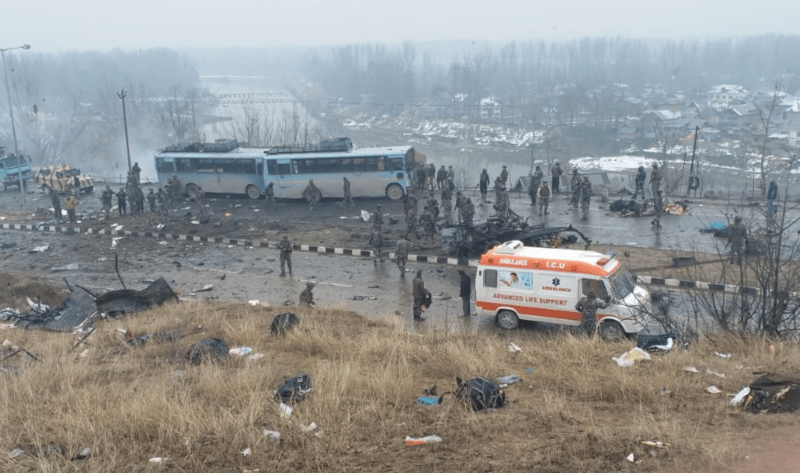 Meanwhile, experts of “anti-terror commando force” the National Security Guard (NSG) and investigators of the National Investigation Agency (NIA) left for Jammu and Kashmir on Friday to join the probe into the attack in Pulwama in which at least 44 CRPF personnel were killed, officials said.